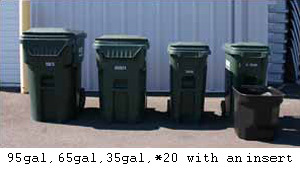 Please note that your roller carts are all clearly marked, "garbage" "recycling" "yard debris" but may vary in color from picture below. 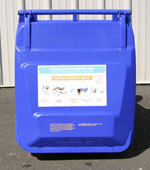 We provide a 95 gallon Blue Cart for recycling collection. 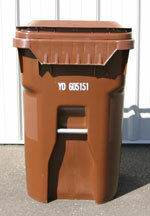 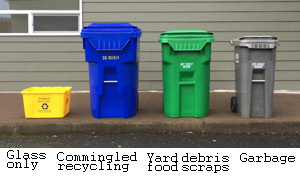 We provide a 65 gallon Green/Brown Cart for weekly yard debris and food scraps collection. 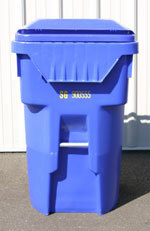 We provide a 14 gallon Yellow Bin for glass recycling collection. 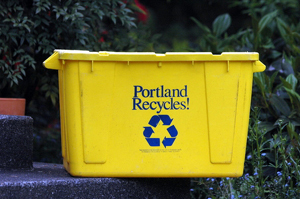 Portland Recycling Brochure (Spanish): Click here to view a printable brochure in Spanish.